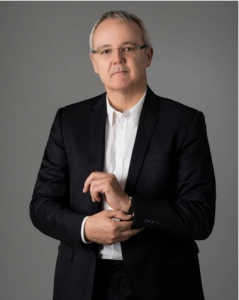 Peter Bale, former vice president and general manager of digital operations at CNN International, will take over as chief executive officer for the Center for Public Integrity, the award-winning investigative journalism nonprofit organization. Bale, 52, helped run CNN.com and was in charge of other CNN International digital products since 2011. Before that, he was the executive producer of MSN UK. He was also a reporter for Reuters and founded FTMarketWatch.com. He’s scheduled to take over for his predecessor, William Buzenberg, in January. Meanwhile, Buzenberg, who has been at the Center’s helm since 2007, will be heading to Harvard’s Kennedy School of Government in Boston for a fellowship at the Shorenstein Center on Media, Politics and Public Policy.